Sharpen your competitive edge by eliminating the 7 wastes of lean in your organization. Recession or boom, companies need to sharpen their competitive edge by applying Lean Management principles to cost reduction by eliminating the non-value-added activities or waste from the value stream processes. In the context of Lean Management, we view VA and NVA activities from the customer perspective. shipping of goods to customers. 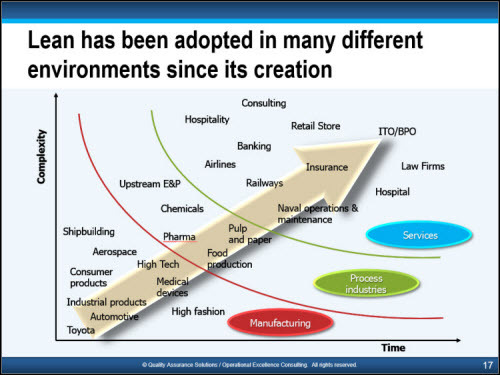 Customers are willing to pay for these improvements which can change the form, fit or function of a product or service. On the other hand, NVA tasks do not increase market form or function. emerge from a downturn with a stronger and more competitive profile. There are seven waste types in a production / manufacturing environment. Studies have shown that in a typical organization, some 90% or more of all activities fall into the NVA bucket. Although the explanations and examples provided below may be more relevant for manufacturing industries, the concepts can be universally applied to service industries as well. customer needs that were not understood. any movement of people or machine that does not add value. poor understanding of the process flow. making too much, too early and faster than required by the next process. producing greater than customer demand. more inventory than needed for a job. large orders of raw material. The ability to find waste in your organization is the first step towards their elimination. For the next step set up a problem solving teams and enable them to reduce or eliminate the waste. Use the common problem solving technique of PDCA (Plan-Do-Check-Act). Involve your employees in problem solving or process improvement. They can identify sources of waste or savings that you might not be aware of. Do note that not all waste equate the same. You need to identify the “right waste”– those that have the greatest impact on the business case or bottom line. For waste elimination to be successful and sustainable, an organization’s senior executives need to adopt a mindset that cutting waste to cut costs creates an on-going journey of continuous improvement. 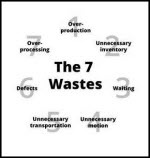 management and employees must collaborate for successful removal of the 7 wastes of lean. Senior executives need to avoid treating waste elimination as another one-off “tool” or quick fix. Essential to managing waste elimination, you must align this strategic change initiative to the organization’s purpose, encompassing both people and process transformations.